Bierebelle has been a busy girl this weekend. I’ve been playing in the woods at Swinley Forest on my lovely little mountain bike all day on Saturday then spent Sunday on a Dirt Divas Back to Basics course learning some awesome techniques. Let me tell any lady Mountain Bikers who read this blog, I am still buzzing from the incredible day – I would totally recommend it for building real confidence and skills which I would have been too chicken to learn on my own. All that biking is thirsty work though, and unlike on my usual weekend rides there were no beer stops. Luckily, I had a few friends back home who could sort me out. 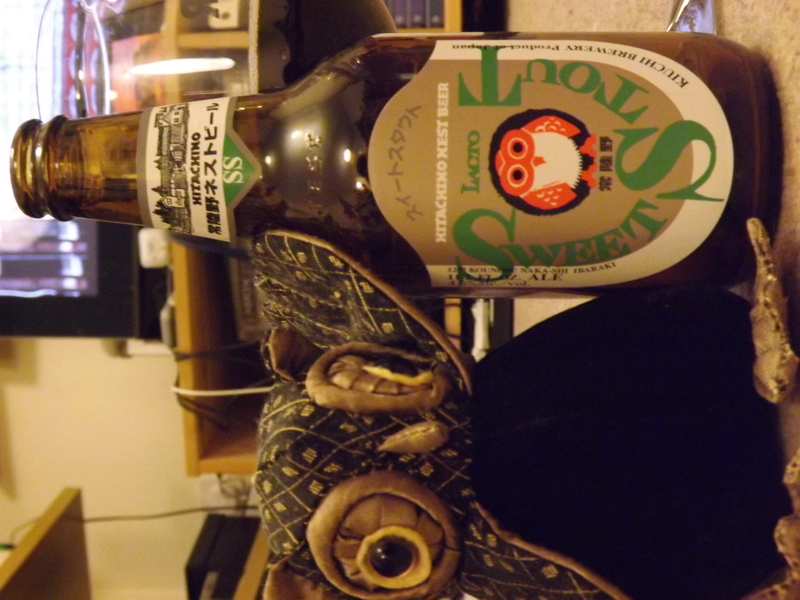 Kiuchi Brewery’s Hitachino Nest Sweet Stout, at 4.5%, was the perfect beer to unwind with. The color is a deep reddish brown with a slight cloudiness and it has a delicious malted chocolate aroma which carries through to the sweet, full flavour. It’s quite thin but maintains a malty richness and there’s a little sweet milkiness towards the back from the lactose, which I guess makes this quite close to a milk stout. There’s a short finish but it leaves you with a little malt in the aftertaste. A light and lovely delight to end an awesome day!